The Montreal Canadiens have slipped out the playoffs, for now. While Andrew Shaw isn’t loaded with skill and isn’t a high end point producer by any means, he’s one of the few players on this team who brings his all every single night. It’s worth also entertaining the idea that maybe because it’s been the most productive season of his career (17 goals, 19 assists, 36 points in 53 games) that he’s inclined to call out his teammates. Shaw is a proven leader on ice and a tremendous teammate in the locker room. He made the right decision in calling out his team, especially at this point in the season. However, it’s important to note that these comments aren’t exclusive to one player, but to the entire team. Following these remarks, the media was able to find a whipping boy. This one, as always, was none other than Jonathan Drouin. Craig Button mentioned earlier on TSN that Jonathan Drouin was the “poster boy” for these remarks. Highlighted were the former 3rd overall pick’s underwhelming statistics in his last 15 games. He had four points in one game in an 8-1 victory versus Detroit, but in his last 15 he has been held pointless. Without a doubt, there is truth to what Craig Button was saying, but why is it only Drouin who faces the most criticism game after game? His production is going up. Drouin continues to break his personal best in production year after year. This while being on his second year of a 5-year 5.5 million dollar contract. His numbers are improving, albeit slowly, improving nonetheless. Drouin is averaging .71 points per game this season with an even strength corsi of 54.2CF%. His individual xGF% (expected goals for) is 12.98%. With 222 shots so far on the season, 70.03% of his shots are on net. Drouin is able to successfully generate scoring chances throughout the offensive zone. A) Either he isn’t a superstar, but a good player, who, like any scorer will have painful dry spells. B) A star who needs a bit more time to adjust to the city, the market, the playing style, the players, the line juggling, the position and who needs to keep playing and learning for it to come to fruition. Fact is, either of these could be true. The latter would be preferable, but it seems a bit too premature to declare a 23 year old with an increasing production year after year, a bust. There are ten games left of the regular season. At this point in the season, when the team is fighting for their lives to make the postseason, everyone needs to play up to their potential. The onus can’t be entirely on Jonathan Drouin. The team around him must pick up the slack. Nice comment but fact is JD is now 23 and he should have his game together or at least showing signs that it is coming. His recent show of lack of desire, disinterest and non-motivation is what is really troubling. If the drive was there but lacked results like Lafleur before him or a la Atturi currently …that would be one thing… but this points to a player headed in the other direction sadly. He thinks he’s still playing junior with the plays he make. Not much of an offensive threat but always a defensive liability.Yzerman knew what he was doing and MB should have known all about Drouin’s “character and attitude” that he prizes so much when he refused to report to Syracuse. 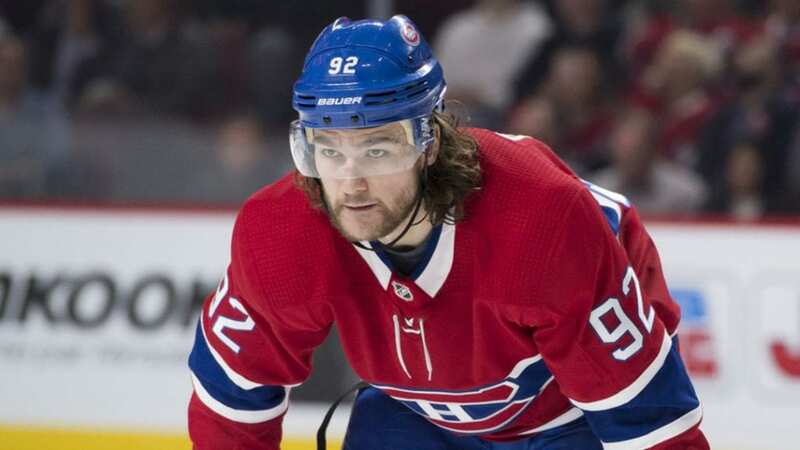 Stop making excuses for Drouin.